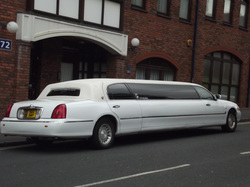 We have some of the most, top of the line limousines out there on the market today. Looking to travel somewhere in style? To get you started fill out the free quote form or simply give us a call at 972-362-9449. Have a big group that needs a ride to DFW or Love field Airport? Let us take you so you guys don't have to worry about all the hassles of parking and finding the right terminal ramp. Do you guys have a ton of luggage coming aboard? No problem what-so-ever. We have room for you, your bags and everyone else's as well. Take a load off and enjoy the ride in our spacious and comfortable limousine. Our customer friendly drivers will get you to and from the airport at the exact time you need. Give us a call today so we can start planning your trip with us.